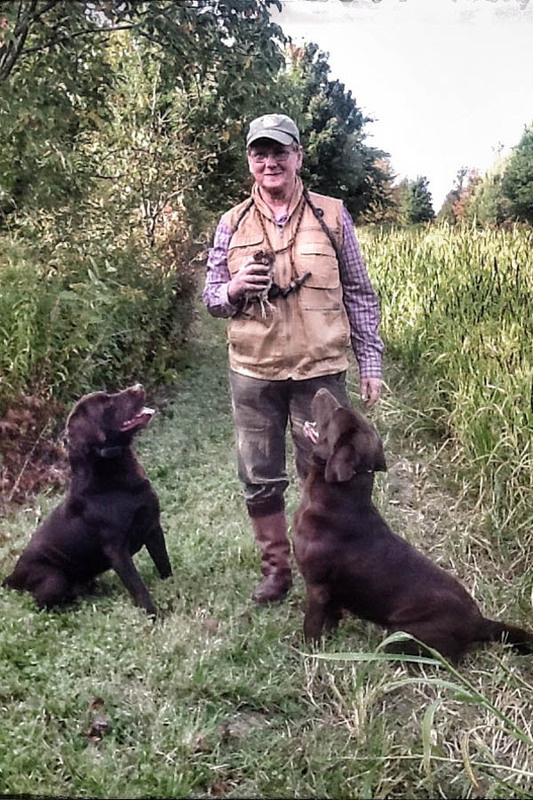 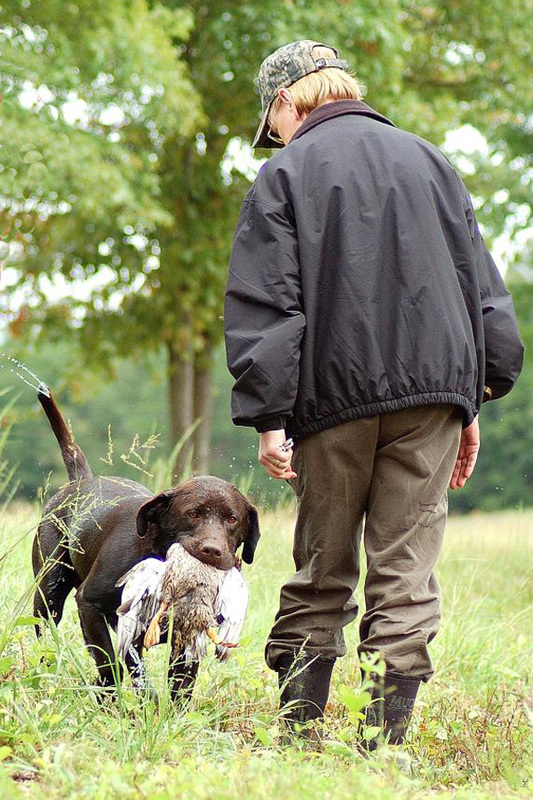 Ranger is a great-grandson of my English import CH Majestic Saxon and his pedigree contains some of the best upland game and waterfowl dogs. 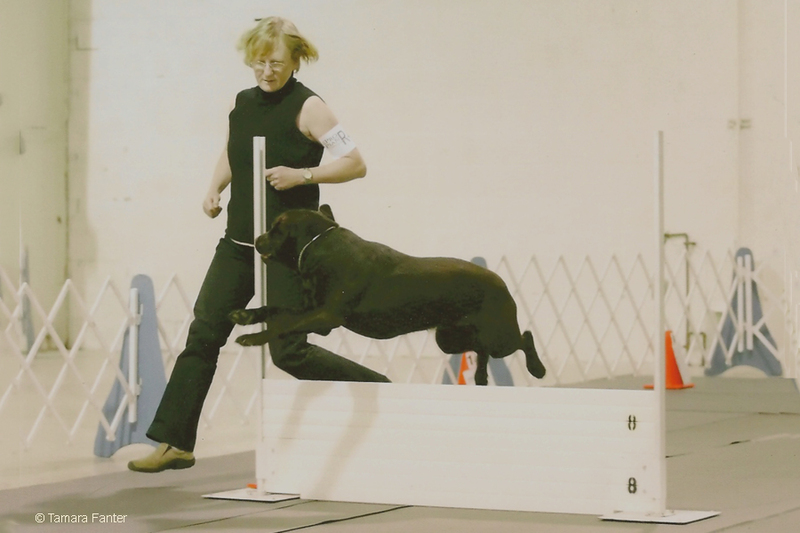 In addition to correct structure and flawless movement, he exhibits intense desire, drive, and trainability. 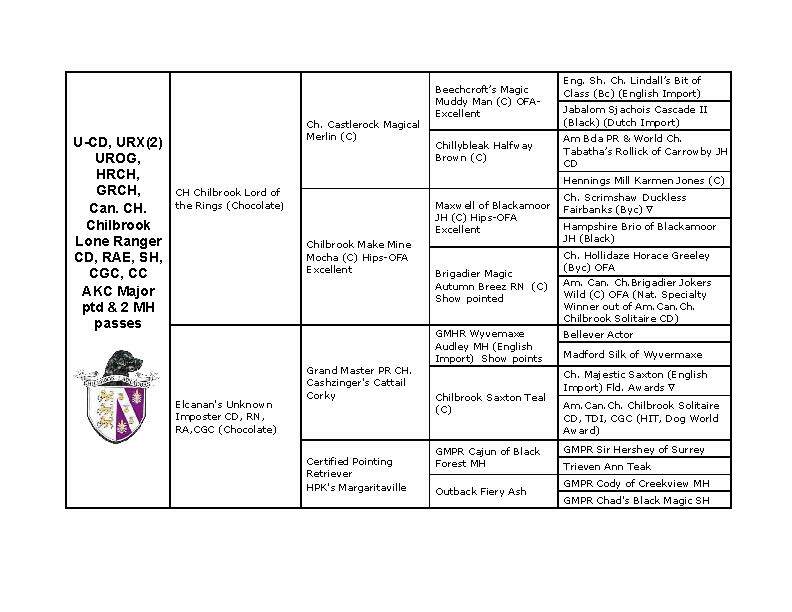 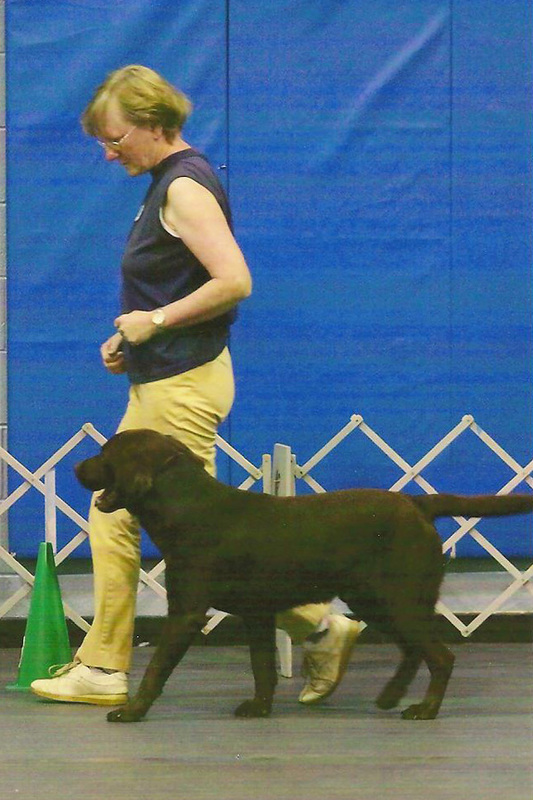 Ranger is very versatile and has always been in the ribbons in whatever competition he attempts. 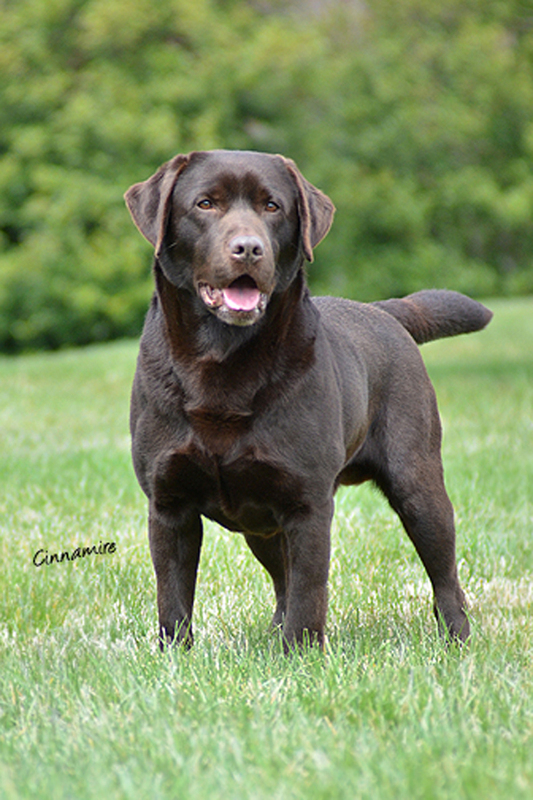 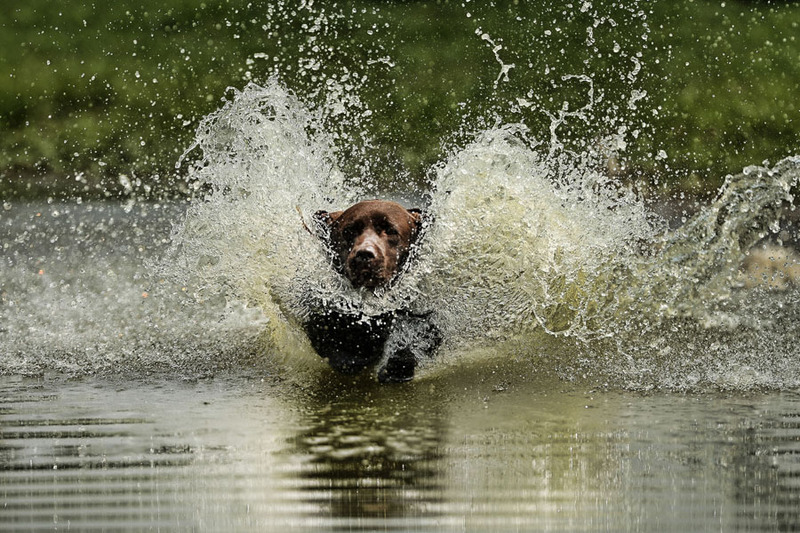 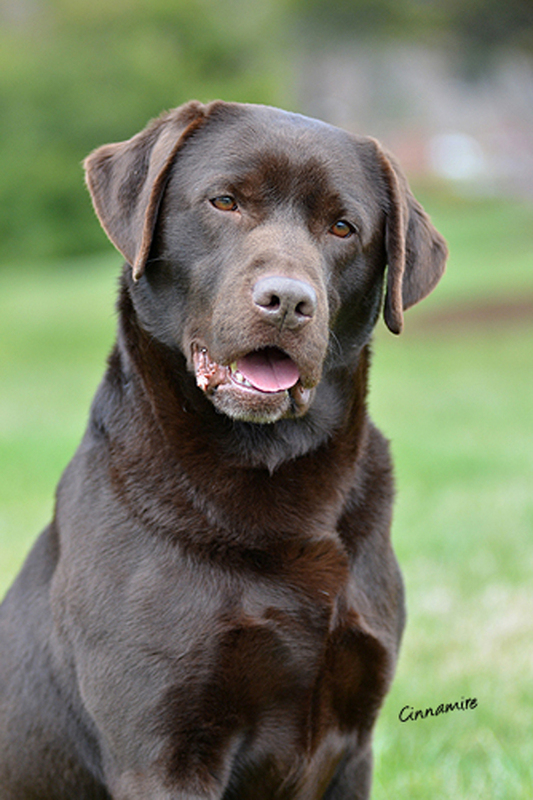 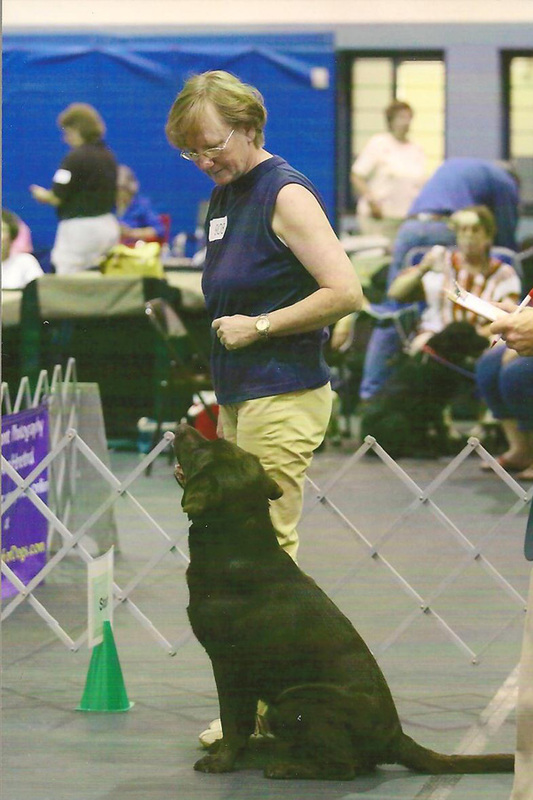 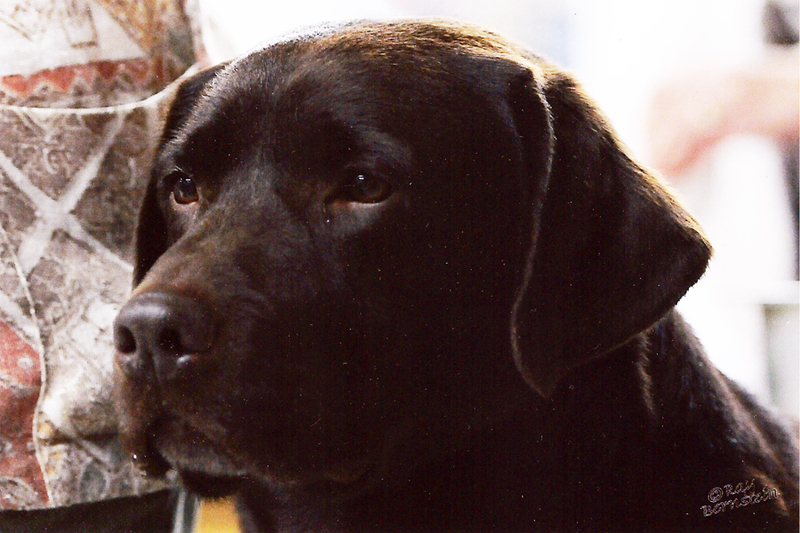 He is the first Triple Champion in the history of Labradors, finishing in conformation in the top 10 and was ranked #1 Labrador in Obedience 2 years in a row. 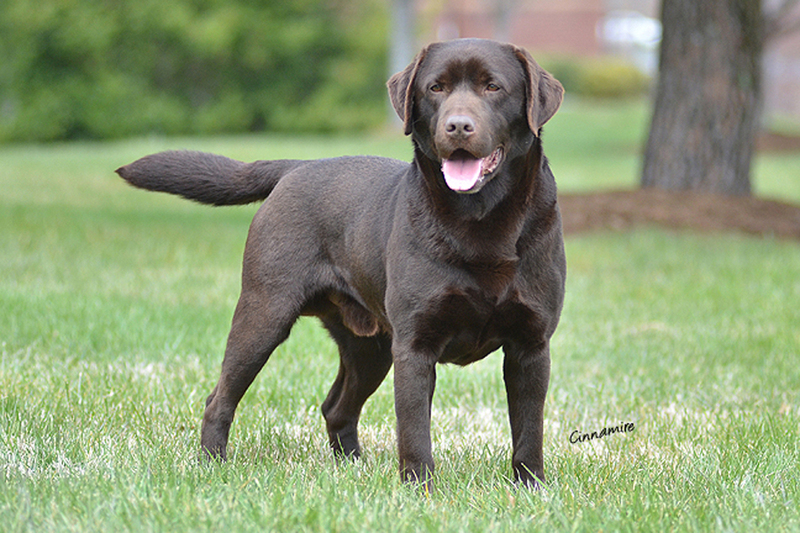 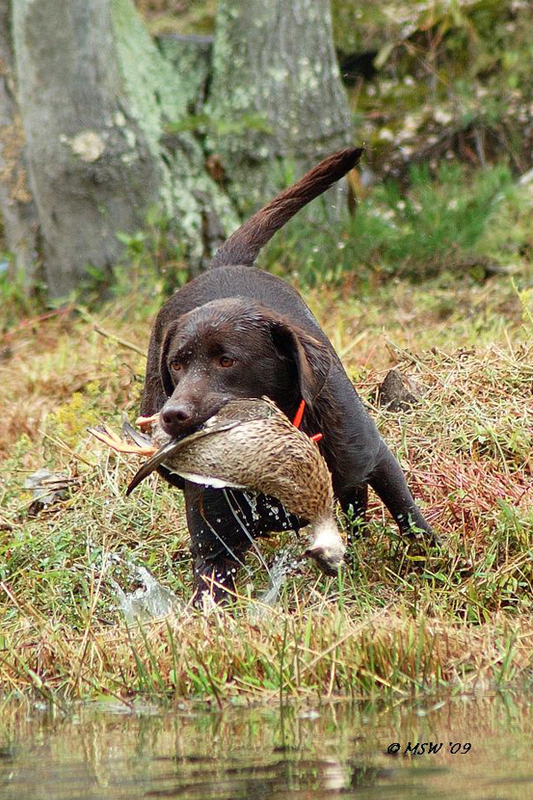 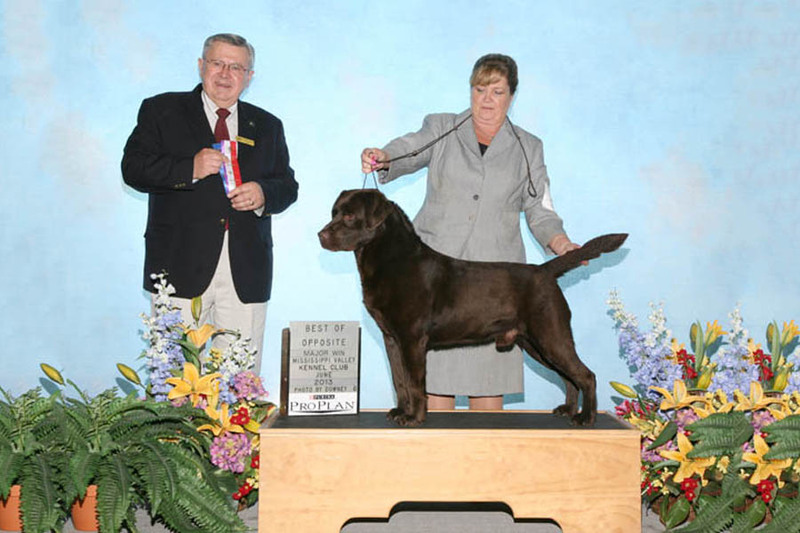 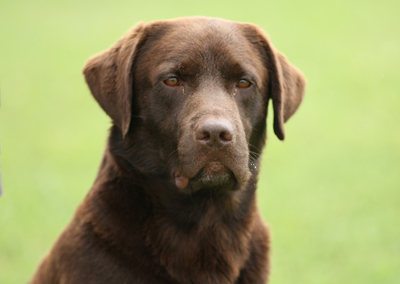 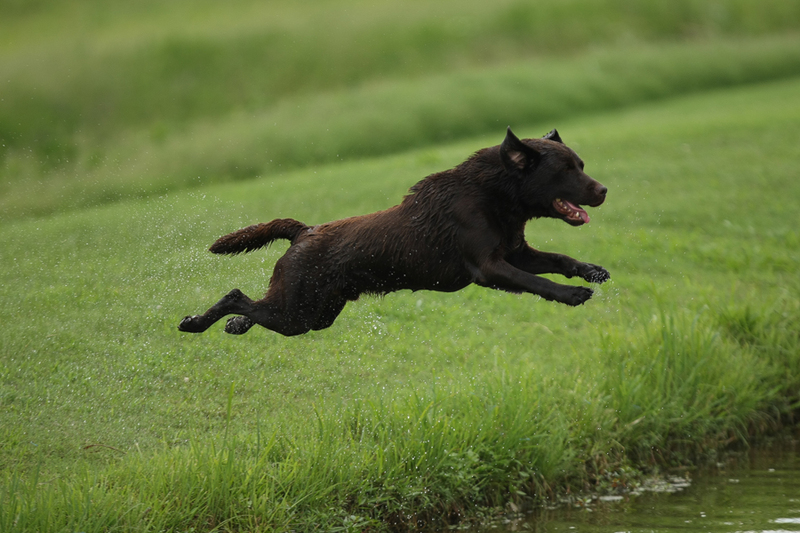 Ranger is major pointed in AKC conformation and also has two AKC Master Hunter Passes. 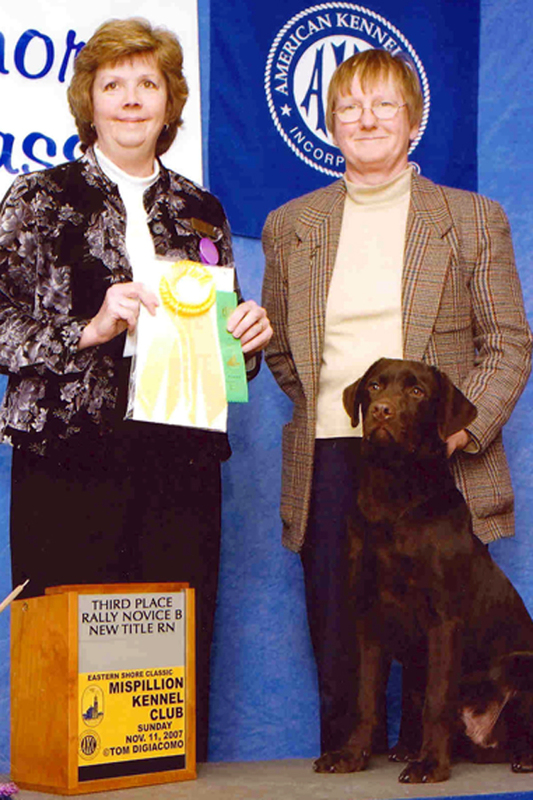 He has excelled as a producer of top performance dogs. 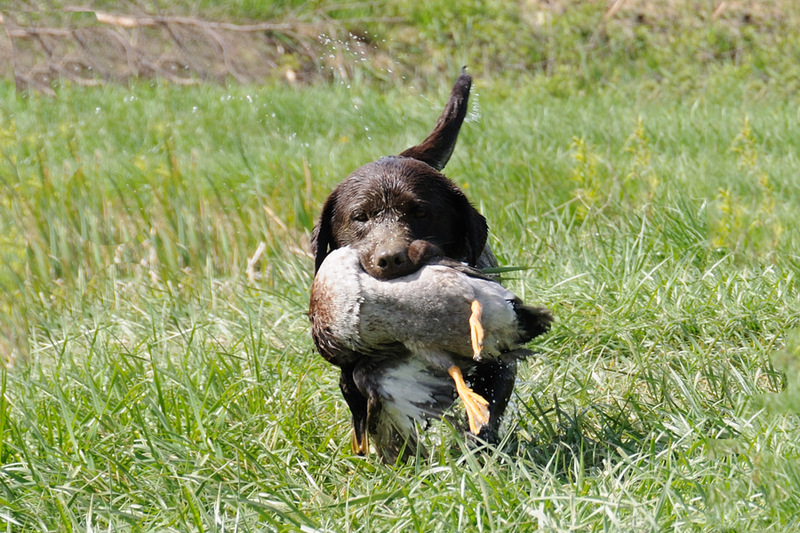 His offspring are proving to have the same versatility, excellent conformation, and soundness as he displays.